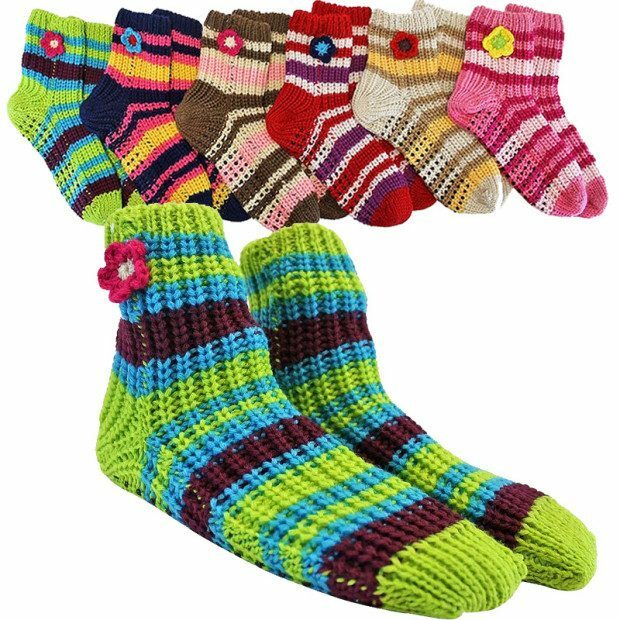 Thick Knit Multi Color Slipper Socks / Non-skid Soles 3 Pr Just $7.99! Ships FREE! You are here: Home / Great Deals / Thick Knit Multi Color Slipper Socks / Non-skid Soles 3 Pr Just $7.99! Ships FREE! Keep your feet warm and cozy this winter! Get the Thick Knit Multi Color Slipper Socks / Non-skid Soles 3 Pr Just $7.99! Ships FREE! Nice and stretchy. These are made of a double thick knit.Dual layer of high quality knit at the ankle line, single layer around the foot.This 3 pack of slipper socks are all individually carded, great for gift-giving! Click here to check out more Great Deals!